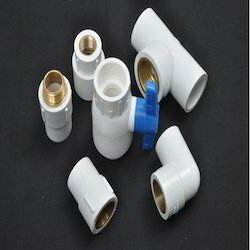 Offering you a complete choice of products which include upvc brass fittings. We are giving the best quality UPVC Brass Fittings to our various clients across the globe. These are fabricated using a good quality raw material such as brass and aluminium. Looking for UPVC Brass Fittings ?